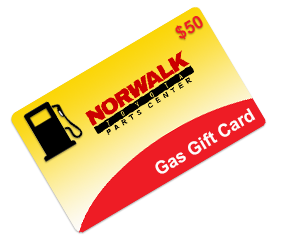 Like us on Facebook and enter to win a $50 Dollar Gasoline Gift Card. Want to earn a chance to win a $50 gasoline gift card? Just like our Facebook page and automatically be entered for a chance to win. No purchase necessary. Winner will be selected on 1/12/2017 from list of our Facebook followers. All decisions of Norwalk Toyota are final. Void where prohibited. 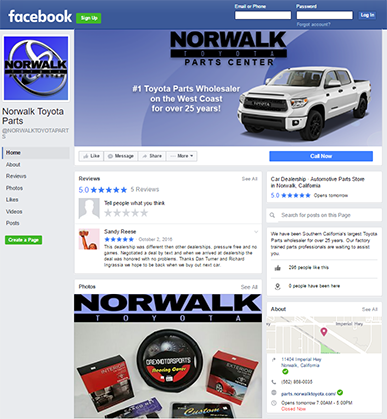 Employees of Norwalk Toyota or any of it's sister companies are not eligible. Not sponsered by Toyota, Facebook, or any fuel company. No substitutions. US Dollars.